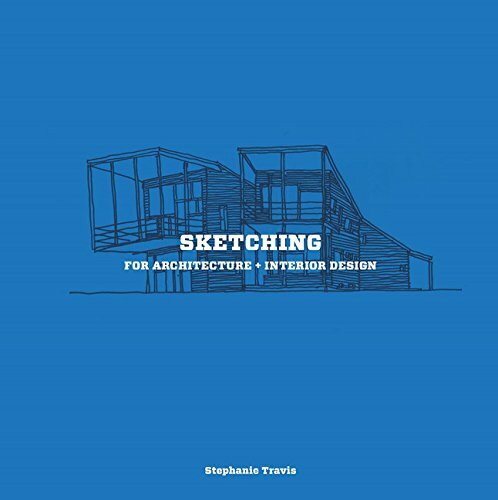 This is a great book for architecture students, sketchers and those who want to develop the skill of sketching. It's a 128-page paperback written by Stephanie Travis who teaches interior architecture and design. The book collects lots of useful tips on sketching. You'll need observational drawing skills to get the most out of the book. Many of the examples require you to draw what you see. There's not so much of constructing objects from imagination. The main drawing tools used are markers and the fine, medium and thick stroke pens. Earlier chapters focuses on the basic fundamentals and simple techniques that are used in the later chapters. There are techniques to help you present your drawings more clearly, lessons on perspective, exercises on positive and negative style of drawing, how to render textures and many more. The exercises are short and easy to follow. The underlying concept is the process is more important than the end result itself. Through drawing, you'll learn more about the subject that you have drawn. Overall, it's quite an insightful book with plenty of useful techniques. It's a good book for beginners.